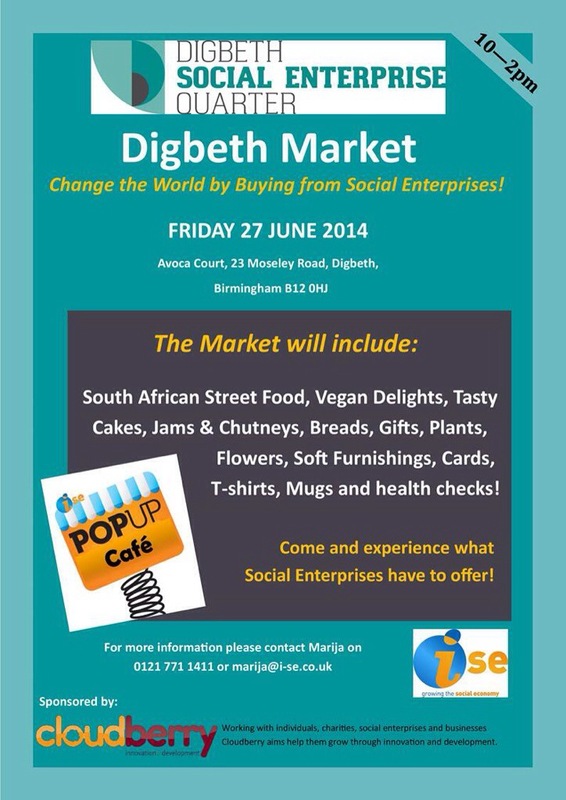 We are sponsoring the next Digbeth Social Enterprise Quarter market which takes place on Friday 27th June 2014 between 10am and 2pm. Lots of exciting stalls and gift ideas, plus lots of food options! We support markets, via our PopUpMarket programme, to gives individuals, charities and communities the opportunity to trial local entrepreneurship in the form of social enterprise start ups or through promotion of social enterprise. So don’t miss the Digbeth Social Enterprise Quarter market in Birmingham, with a fantastic range of social enterprises to serve your needs!